Home A taste for the finer things in life. Like every facet of your experience with Cruise New Zealand, meals are a bespoke creation that will satisfy you and your companions completely. Whether your appetite is simply for a relaxed afternoon of drinks and canapes or extends to a sumptuous buffet matched by fine New Zealand wines, all you need to do is say the word, and we’ll craft an exquisite dining experience to suit you perfectly. Please inquire for catering and beverage options. 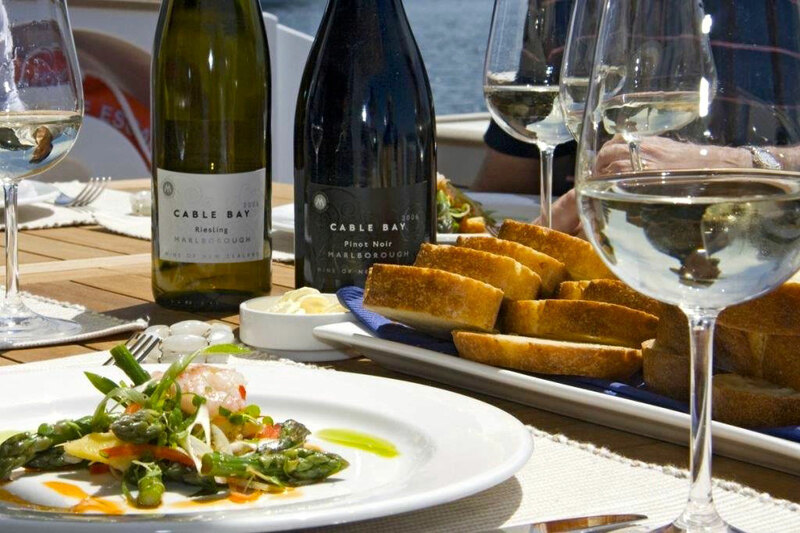 Our vessels are fully licenced, food and beverage can be enjoyed during your cruise.